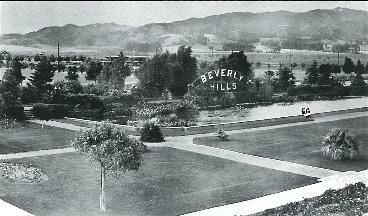 Beverly Gardens Park was developed in 1907, consisting of three blocks on the north side of Santa Monica Boulevard between Crescent Drive and Rodeo Drive. In 1930, the park expanded eight blocks west along Santa Monica Boulevard, to the intersection of Wilshire Boulevard, wrapping around to Whittier Drive. 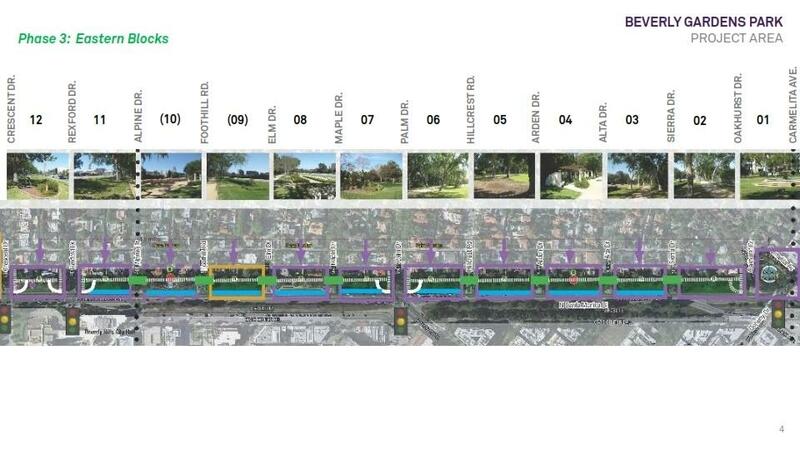 It also expanded twelve blocks east along Santa Monica Boulevard to Carmelita Avenue, bringing it to our park of today – 23-blocks or 1.9 miles of green space, which features highly visible landmarks like the iconic Beverly Hills Monument Sign and Lily pond, the historic Cactus Garden, the Electric Fountain, the Doheny Fountain, and the Alta Arden Pergola Garden. Project The Beverly Gardens Park Restoration Project is a multi-year renovation project intended to restore the 100+ year old park to its original condition using historic design elements, while modernizing it with current trends in park design to bring it into the 21st century. The project was initiated in 2011 by Beverly Hills resident and businessman, Steve Gordon who led a grassroots fundraising effort under the association of Friends of Beverly Gardens Park to offset costs to the City of Beverly Hills. Donations of $4 million have been earmarked for the Beverly Gardens Park Project through the Beverly Hills Community Charitable Foundation. 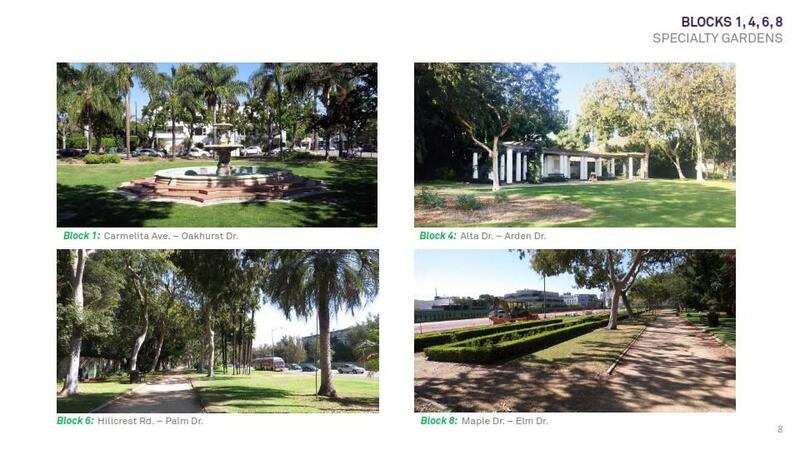 Each of the 23 park blocks have gone, or will undergo tactical renovation. 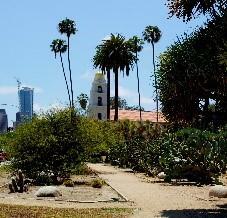 Restore gardens under the historic contest of the original park design. Refresh planting with low water/drought tolerant material and reduce turf area with planting in order to decrease overall water usage in the park. Convert Spray irrigation system to drip emitters. Bring pedestrians to corner crosswalks at signalized intersections at Santa Monica Boulevard. At non-signalized streets where new mid-block crossings occur, close off north east sidewalks adjacent to the park with planting to reinforce linear pathways through park. Bring pedestrians to corner crosswalks at Santa Monica Boulevard. 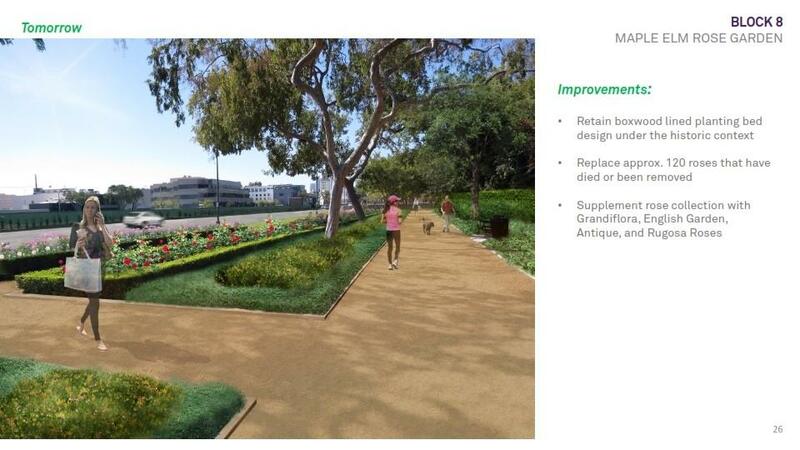 Reinforce linear pathways by closing the sidewalks to Santa Monica Boulevard. Add ambient lighting for safety and accessible evening use. Replace non-operating drinking fountains with ADA and pet-friendly furnishings. Provide dog trash receptacles at each block. Demonstrate both active and passive water harvesting techniques that dramatically reduce water consumption and exemplifies slowing stormwater runoff to reduce urban flooding. Service as a Best Management Practices example to other city/public project highlighting effective strategies of balancing hardscape and nature to improve human health well-being. Increase biomass of the site to attract pollinators and wildlife. 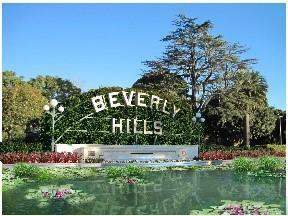 Donations can be made for park improvements through the Beverly Hills Community Charitable Foundation. Phase 1 (COMPLETED) of the renovation began in early 2014, with restoration of the Lily Pond and iconic Beverly Hills Monument Sign, followed by the Electric Fountain in 2015. 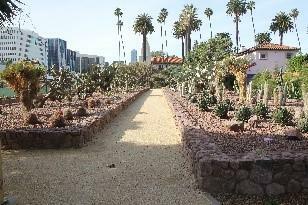 Phase 2 (COMPLETED) began in 2017 which included restoration of the Cactus Garden. Phase 3 Phase 3 of the project begins March 12, 2018 and includes improvements made to the eastern blocks from Beverly Drive to Carmelita Avenue. 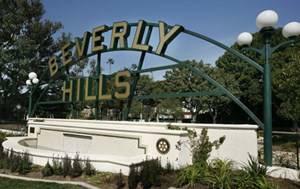 Phase 3 is expected to be completed by year-end, 2018 and will conclude the Beverly Gardens Park Restoration Project. The Lily Pond and Beverly Hills Monument sign block, between Beverly Drive and Canon Drive, will be closed for approximately 1 ½ months to allow for new plantings, upgrade of irrigation system, enhanced protection for the monument sign and installation of pavers in the front of the Lily Pond. 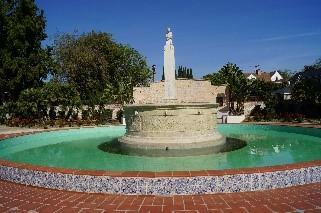 The park block between Oakhurst Drive and Sierra Drive will be closed for approximately 4 months to allow for improvements, including demolition of existing site concrete, construction of new landscaping, curbs, lighting fixtures and replacement of irrigation systems as well as replacement of fountain equipment and restoration and replication of the historic Doheny Fountain. The park blocks between Arden Drive and Alta Drive will be closed for the duration of the construction project to allow for construction equipment staging. Improvements will also be made, including demolition of existing concrete, construction of new landscaping, curbs, decomposed granite walks, lighting fixtures and replacement of irrigation systems. Decomposed granite pathways through park blocks will be closed off during construction. In addition, mid-block crossings will be added to the streets to provide for continuous pedestrian access from the park’s pathway. The park block between Foothill Road and Alpine Drive will be closed for approximately 6 months to allow for the work including demolition of existing site concrete, construction of new landscaping, curbs, decomposed granite walks, lighting fixtures, restoration of the pergola and the replacement of irrigation systems. The work also includes replacement of fountain equipment and restoration and replication of the historic Gargoyle Fountain. Decomposed granite pathways through park blocks will be closed off curing construction. In addition, mid-block crossing will be added to the streets to provide for continuous pedestrian access from the park’s pathway. The park block between Maple Drive and Elm Drive, and blocks between Alpine Drive and Crescent Drive will be closed for approximately 3 months to allow for improvements including demolition of existing site concrete, construction of new landscaping curbs, decomposed granite walks, lighting fixtures and replacement of irrigation systems. Decomposed granite pathways through park blocks will be closed off during construction. In addition, mid-block crossing will be added to the streets to provide for continuous pedestrian access from the park’s pathway. The park blocks between Arden Drive and Maple Drive will be closed for approximately 3 months to allow for improvements including demolition of existing site concrete, construction of new landscaping, curbs, decomposed granite walks, lighting fixtures and replacement of irrigation systems. Decomposed granite pathways through park blocks will be closed off curing construction. In addition, mid-block crossing will be added to the streets to provide for continuous pedestrian access from the park’s pathway. 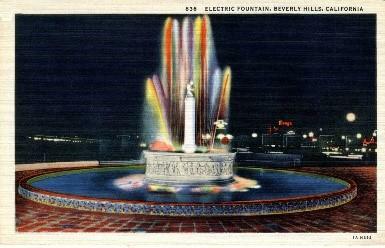 The Doheny Fountain on the park block between Oakhurst Drive and Carmelita Avenue was opened in 1931, designed by W. Asa Hudson as the Eastern Gateway to Beverly Hills. The Fountain is being replicated with water cascading from the top to lower basins, creating sound effect of the original fountain. Fountain is expected to be completed in April, 2019. Regular updates will be provided to this page. Should you have any questions about this project, please contact Public Works Customer Service at 310-285-2467 or AskPW@beverlyhills.org.